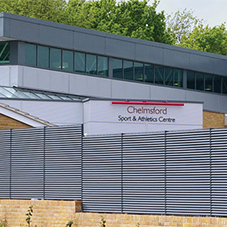 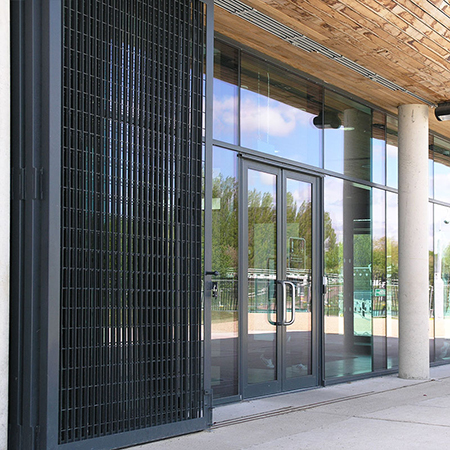 Lang+Fulton were approached to supply security screening at the Lee Valley White Water Centre. 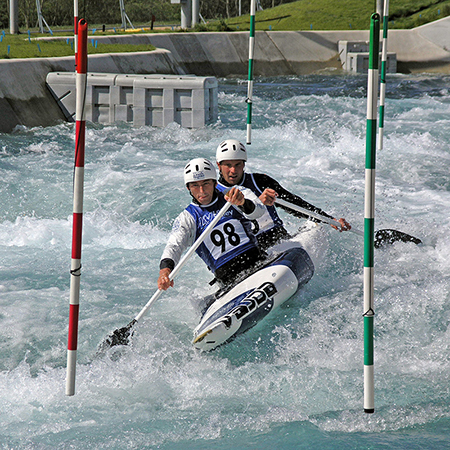 The Centre was constructed as the venue for the canoe slalom events of the London Olympic Games. 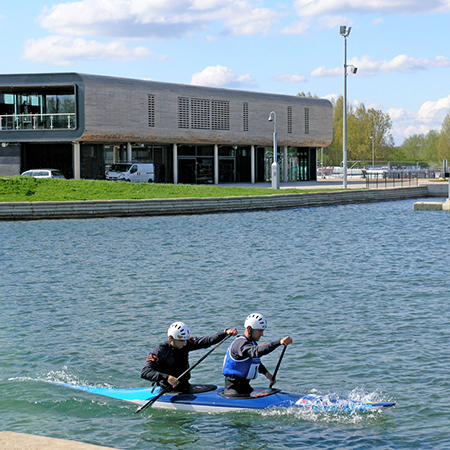 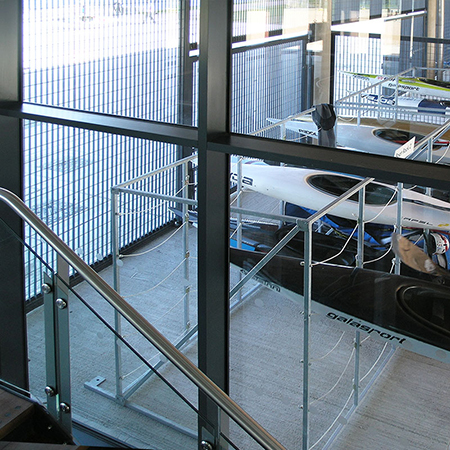 It is now a very successful visitor attraction as well as a training facility and home for British Canoeing UK. 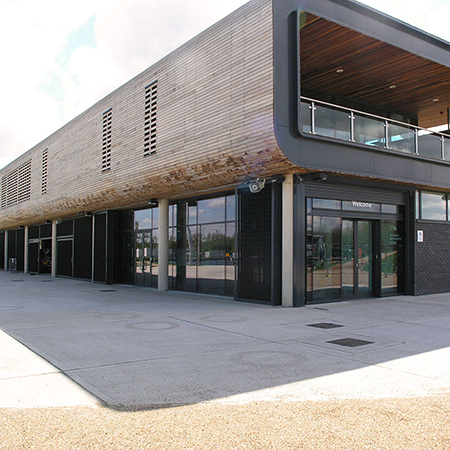 The main Facility Building won a RIBA award for excellence of design. 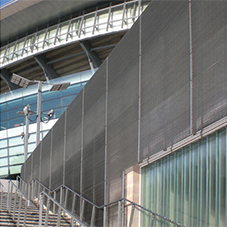 The multi-leaf sliding screens, which provide extra security to the glazed reception area at night, were manufactured from Lang+Fulton’s Stereo-3 grating and were designed to be hung using a suspended rail system. 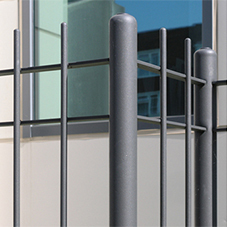 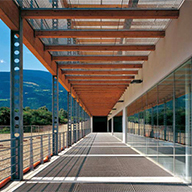 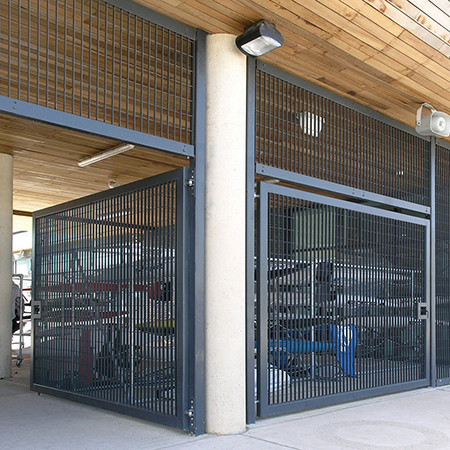 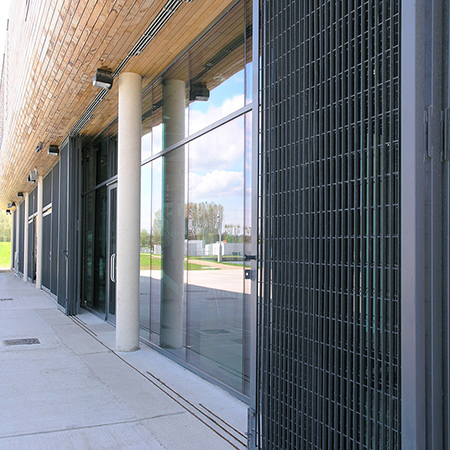 A fixed panel grating screen continues across the full length of the East elevation of the building creating an enclosed courtyard,which is used for equipment storage with access through double and single swing gates. 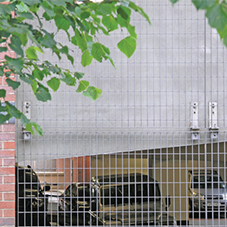 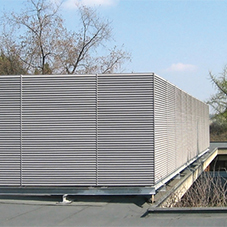 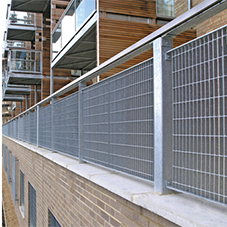 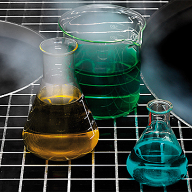 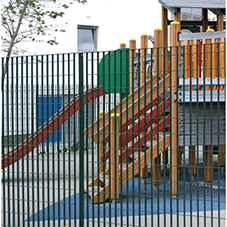 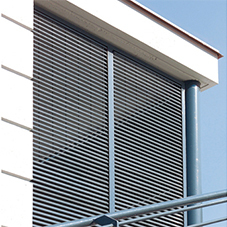 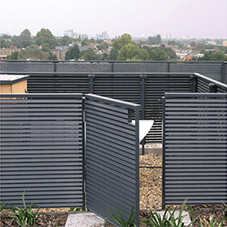 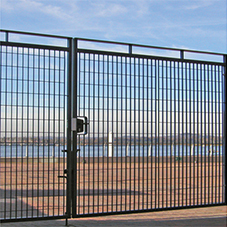 The grating panels were supplied with all ancillary steelwork in a hot-dip galvanized and polyester powder coated finish.